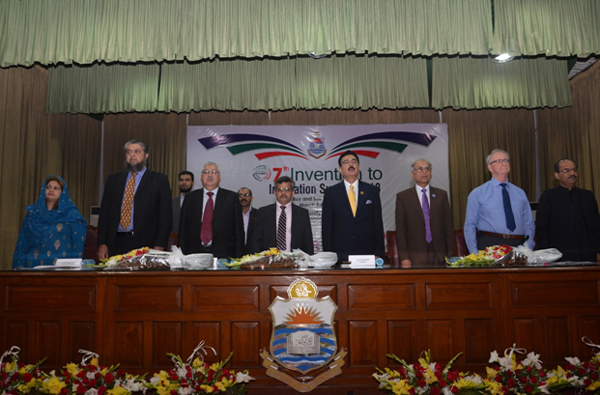 Office of Research Innovation and Commercialization (ORIC), University of the Punjab, Lahore, organized 7th Invention to Innovation Summit in collaboration with Institute of Research Promotion (IRP), University of Management and Technology (UMT), Pakistan Science Foundation (PSF) on 7th and 8th March, 2018, at main corridor of University of the Punjab, Lahore. 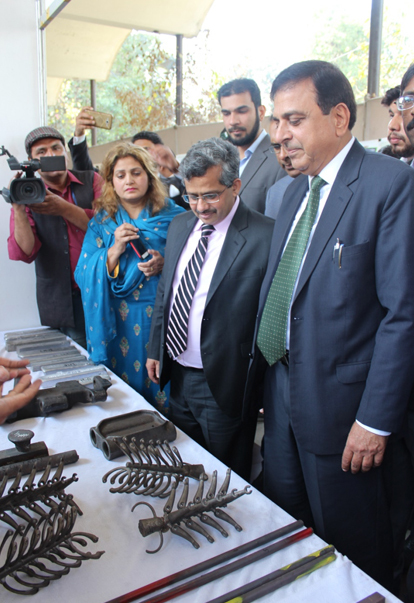 Dr. Zakria Zakar, Vice Chancellor, University of the Punjab said while addressing the inaugural ceremony, that the innovative ideas converted into tangible products spur the economic growth of the countries. Conduct of such summits encourage the young and enthusiastic researchers and innovators by providing platform to them to present their technologies in front of potential buyers and industrialists. The educational institutes create knowledge and society should consumes this knowledge for a better life. Dr. Muhammad Ali (Vice Chancellor, GCU Faisalabad), Mr. Naseem Sadiq (Secretary Live Stock, Government of the Punjab), Mr. Abid H. K Shirwani (CEO, Institute of Research Promotion), Mr. Zeeshan Khalil (Vice President, Lahore Chamber of Commerce and Industries), Dr. Farah Rauf Shakoori (Director, ORIC, PU) and other distinguished guests were also present at the inaugural session. Dr. Farah Rauf Shakoori is presenting souvenir to the Chief Guest Prof. Dr. Muhammad Zakria Zakar. Later on, Dr. Zakria Zakar along with other guests visited the stalls and appreciated the technologies and posters on display. 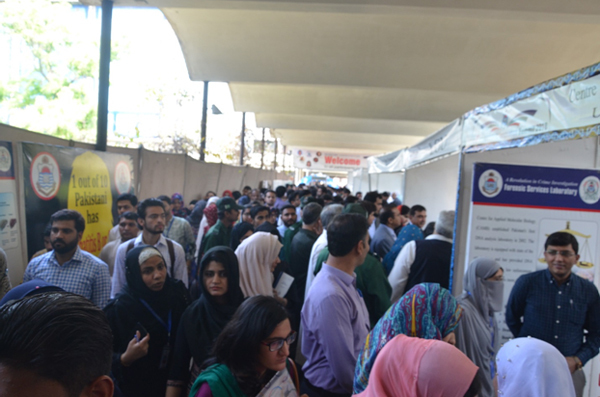 The event lasted for two days and around 300 technologies along with 500 posters were there. 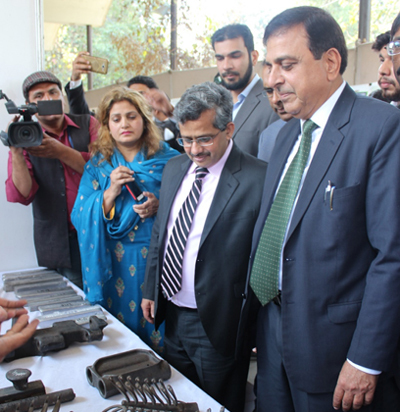 Students, faculty members, foreign delegates, industrial people and large number of people from all walks of life visited and showed keen interest in the products and potential ideas. 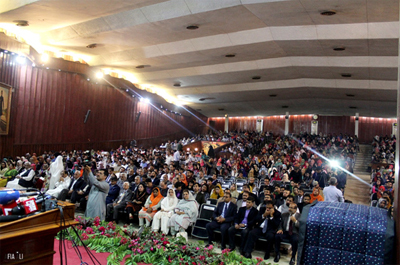 Meanwhile, people also attended the parallel thematic sessions and heard the talks of distinguished researchers. 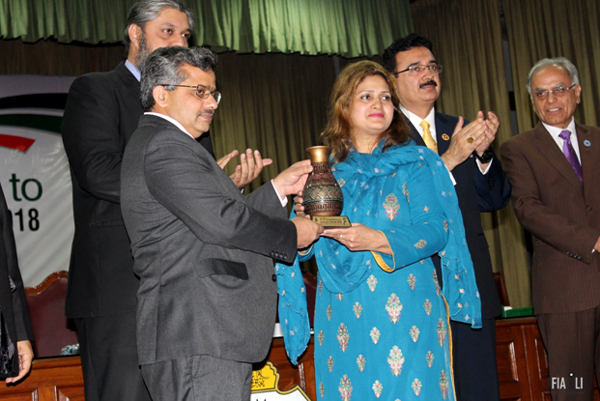 Closing ceremony was held in Al Razi Hall while Dr. Talat Naseer Pasha (Vice Chancellor, University of Veterinary and Animal Sciences, Lahore) was the Chief Guest. Later on cash prizes along with certificates were distributed among the winners in the category of best tangible technology and the best poster. Dr. Talat Naseer Pasha, said that problems confronted by developing countries can be resolved by their indigenous researchers because they know the ground realities. Dr. Farah Rauf Shakoori, thanked the participants and vowed that ORIC PU and its team will continue to conduct such summits and conferences to facilitate the researchers to publicize their inventions and innovations.